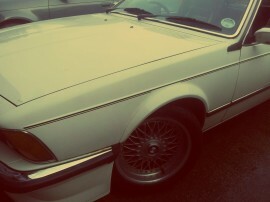 For this job we sprayed and repaired a classic BMW. Take a look at our photos or click the link to view this project on facebook. Look…we can repair and re-spray anything with wheels and all to our usual high standards. Have a look at the photo or click on the link to view the project on our facebook page. 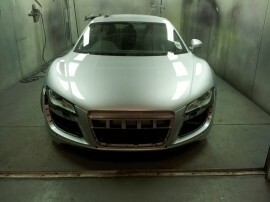 This Audi R8 was in a bad way when it arrived with us. 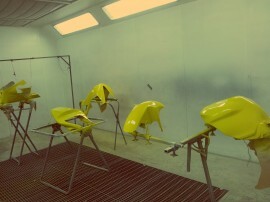 Take a look on our facebook page for more details on the restoration process.